I have a modchip on my Xbox, so they're all on the hard drive. It only costed about $100 for a 120GB drive and the modchip. Got one similar myself. Got a 200Gb HDD in it, an executer 3 chip, and a LCD on it. Ive got it connected to my network aswell. Heres a pic. They're really nice, the only hard part is the installation. There's 2 options, you can solder it onto the motherboard (not for the faint of heart) or there are little kits you can buy with solderless adapters. I was told that the contact points for the solderless ones get loose sometimes, and that would be a pain to reposition. On the other hand, if you have some certain games, there's also a save game exploit to mod it. I'm going to sell my Xbox and my two Controller S' to my Xbox 360 fund. 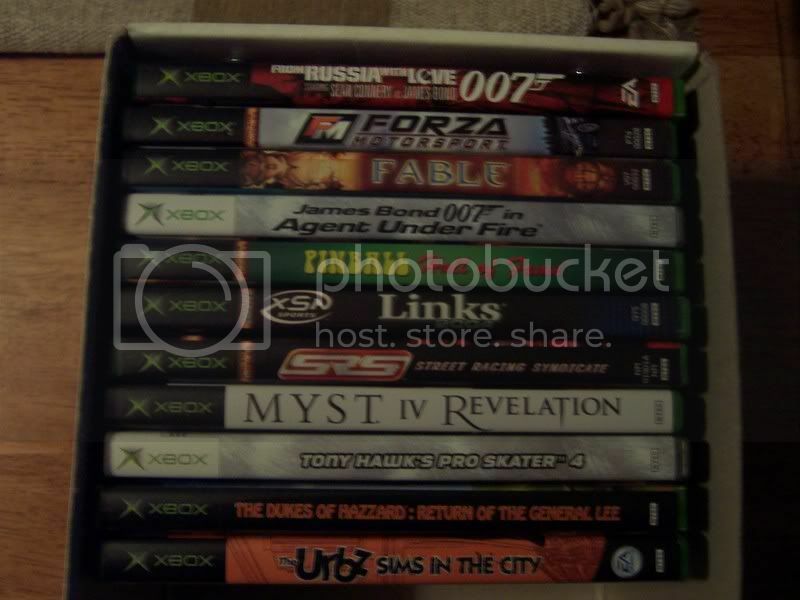 I'm probably going to save the Xbox games though. Halo 2, Splinter Cell Chaos Theory and Doom 3 are all backwards compatible with the Xbox 360 anyways.